The unfolding debt drama in Russia, Ukraine, and the EU states of Eastern Europe has reached acute danger point. " "Stephen Jen, currency chief at Morgan Stanley, said Eastern Europe has borrowed $1.7 trillion abroad, much on short-term maturities. It must repay – or roll over – $400bn this year, equal to a third of the region's GDP..."
"...Not even Russia can easily cover the $500bn dollar debts of its oligarchs while oil remains near $33 a barrel. The budget is based on Urals crude at $95. Russia has bled 36pc of its foreign reserves since August defending the rouble. "This is the largest run on a currency in history," said Mr Jen. In Poland, 60pc of mortgages are in Swiss francs. The zloty has just halved against the franc. Hungary, the Balkans, the Baltics, and Ukraine are all suffering variants of this story. As an act of collective folly – by lenders and borrowers – it matches America's sub-prime debacle. There is a crucial difference, however. European banks are on the hook for both. US banks are not. Almost all East bloc debts are owed to West Europe, especially Austrian, Swedish, Greek, Italian, and Belgian banks. En plus, Europeans account for an astonishing 74pc of the entire $4.9 trillion portfolio of loans to emerging markets. They are five times more exposed to this latest bust than American or Japanese banks, and they are 50pc more leveraged (IMF data)..."
"Whether it takes months, or just weeks, the world is going to discover that Europe's financial system is sunk, and that there is no EU Federal Reserve yet ready to act as a lender of last resort or to flood the markets with emergency stimulus..."
Europe's governments are making matters worse. Some are pressuring their banks to pull back, undercutting subsidiaries in East Europe. Athens has ordered Greek banks to pull out of the Balkans..."
Europe is already in deeper trouble than the ECB or EU leaders ever expected. Germany contracted at an annual rate of 8.4pc in the fourth quarter. If Deutsche Bank is correct, the economy will have shrunk by nearly 9pc before the end of this year. This is the sort of level that stokes popular revolt. The implications are obvious. Berlin is not going to rescue Ireland, Spain, Greece and Portugal as the collapse of their credit bubbles leads to rising defaults, or rescue Italy by accepting plans for EU "union bonds" should the debt markets take fright at the rocketing trajectory of Italy's public debt (hitting 112pc of GDP next year, just revised up from 101pc – big change), or rescue Austria from its Habsburg adventurism." 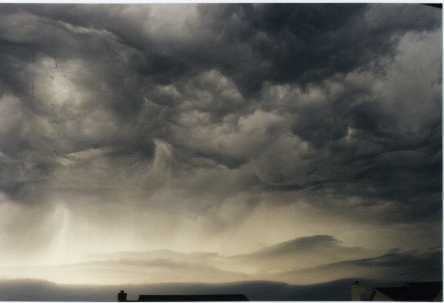 The global economic storm clouds seem to be getting more ominous by the day. Any insight how are the Indian banks [like State bank of India etc.] doing? Banks need a proper financial analysis in terms of gap analysis maintaining position of assets and liability in order to ensure financial stability . Great post ! Financial institutions prefer short term maturity bonds and securities to avail easy payments in less tenure .